Loaded dice are dice that are manufactured in such a way that they always or often land in a particular way. They may have rounded faces or off-square faces, they may have trick numbers, or they may be unevenly weighted to "encourage" certain outcomes. Needless to say, these dice should be used for amusement purposes only. Even in a friendly game, you might lose some friends (or worse). Loaded dice are, of course, illegal in casinos and against the rules in any competitive setting. 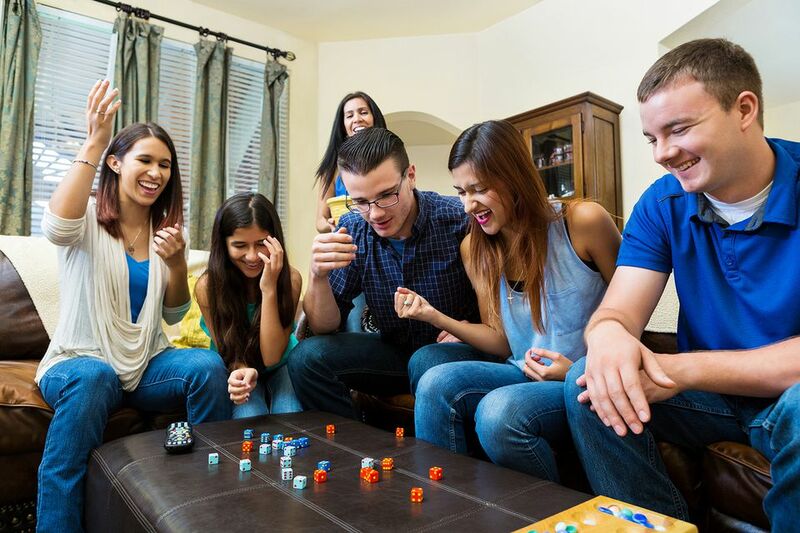 Koplow Games sells weighted dice that are more likely to roll sevens. They don't have any trick numbering but instead are weighted. You don't roll a seven every time, but it is more likely. They don't sell directly to the public, but you can find them on ​Amazon.com and through other sellers. Craps Cheaters: The dice faces are numbered with one dice 1,5,6,1,5,6 and the other 3,4,5,3,4,5 so they can never produce a roll of two, three, seven, or 12. As a result, you won't lose after the come out roll in craps. You'll always make your point. Twice Dice: These dice have an extra of one number, and it is always on the opposite face so it can't be seen at the same time. They are available with a double of each of the six numbers, and they sell the double-six and the double-one dice as a set. If you have a situation in which you are trying to roll a high number, and you give your opponent the double-one while you use the double-six, you will win 72 percent of the time. High Thrower and Low Thrower: The high thrower is numbered 4-5-6-4-5-6 while the low thrower is numbered 1-2-3-1-2-3, with the duplicated numbers on opposite sides. If you give the low thrower to your opponent and you roll the high thrower, you are guaranteed a higher number. Odd Thrower and Even Thrower: The odd thrower has only the three odd numbers 1-3-5-1-3-5 while the even thrower has 2-4-6-2-4-6, with the duplicates on opposite sides so they are less obvious. Forcing Dice: All of the faces have the same number. These would be rather obvious when used, so probably aren't worth purchasing. These trick dice can probably only be used once for a joke. One dice has the number five on all sides while the other has the number two on or six on all sides. As a result, you'll always roll either seven or 11. Unfortunately, the person you're trying to trick will quickly spot that the numbers are the same on all sides of the dice that has all fives. 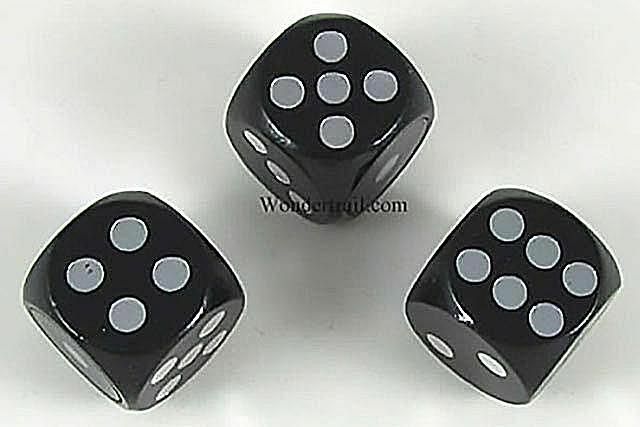 If you buy two sets and use the 6/2 dice in a friendly craps game, you can bet on 12, eight, and four (with extra on the double two spot) and you might be able to sneak in a few rolls with friends. You can find these for sale on Amazon.com and other sites, from a variety of manufacturers. This site has various collectible types of loaded dice, including weighted dice and those with trick numbering. They have information about the history of these dice as well.